Can’t believe today is our last full day in Lisbon! The weather here in Portugal has been amazing, give or take a few hours of drizzling over the last six days. It’s been sunny and in the high 60’s to mid 70’s the whole trip, and it’s just been a dream compared to the hot, humid temps back at home! We’re hoping for one more day today of sunshine so we can get as much out of our last day as possible. I’ve been wearing mostly dresses with sandals or sneakers on this trip, which has been quite perfect for the mild temperatures here. Luckily I won’t have to be in the 100 degree heat in Texas for very long, as I’m actually heading out to Carlsbad for our annual family trip this coming Sunday! Looking forward to spending some quality time with my mom and stepdad, sister and grandmother… and it doesn’t hurt to be able to enjoy California weather, food and wine! 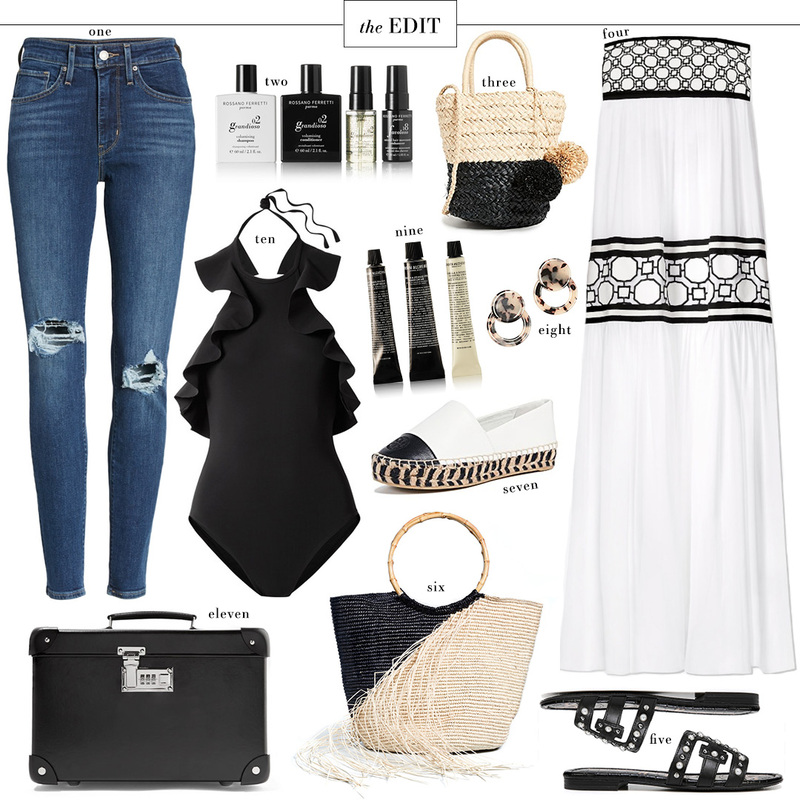 Stay tuned for more travel content from Portugal, and some fun snaps from California too – in the meantime, here’s a summer chic EDIT to inspire you this week! How cute are these picks! Love that straw bag!